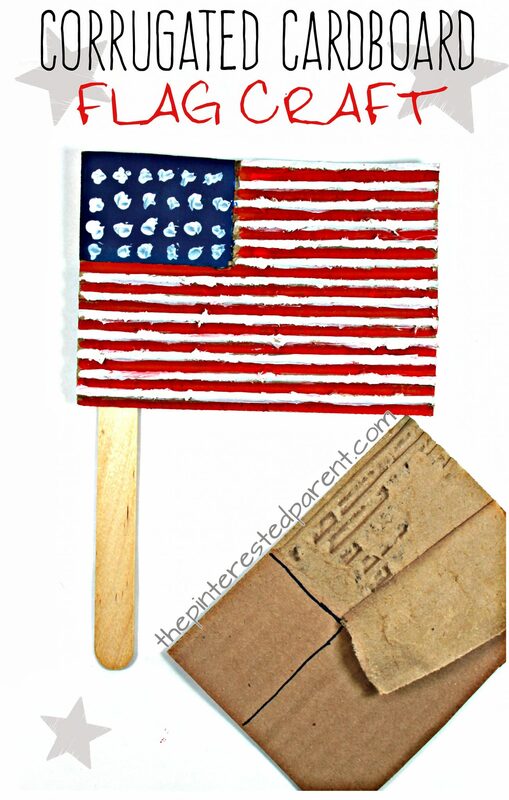 If you are looking for a kid’s craft for Memorial Day or The Fourth of July, this corrugated cardboard flag is just the thing you need. If you are an Amazon addict like I am, you probably are rolling in cardboard boxes. We adore cardboard. It is a great material for arts and crafts. We are especially fond of working with corrugated cardboard. It works wonderfully for printmaking and the texture makes for interesting crafts. The ridges on the cardboard make a perfect template for the stripes on this corrugated cardboard flag.